Ouch! Chomp on something your tooth didn’t like? Or get hit in the mouth with somebody's head, helmet, ball, or any other item? If you have any pain when biting down or when eating something hot or cold, it’s best to get it checked out. It is possible to have a cracked tooth and not know it. 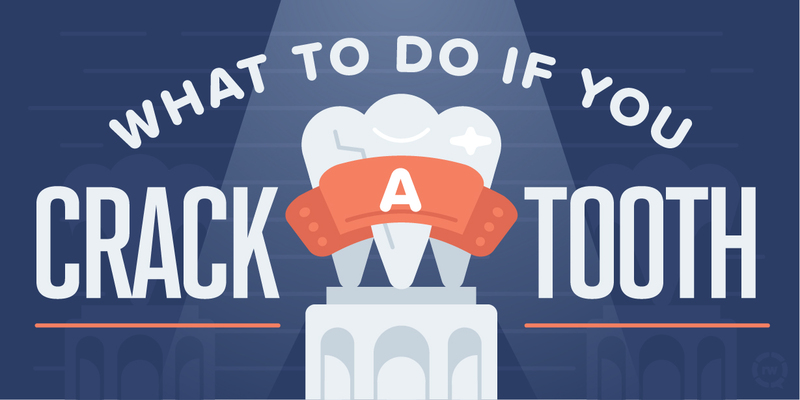 If you think you may have a cracked tooth or if you’re holding a piece of your tooth in your hand, follow these steps! 1. Give us a call to schedule an appointment (602) 993-4200. Let us know about your emergency and we will make our best effort to see you right away. 4. If bleeding, bite down on a gauze pad until bleeding stops and call your dentist! Click here to see our Blog Archive!